Real estate agents emphasize the importance of the three Ls. No, we're not talking about location, rather landscaping, landscaping, landscaping! Making sure your landscaping and exterior portions of your home are in top condition is the best way to get a better price of your Maryland home. There are plenty of ways to upgrade your yard, but some will go further than others when attracting that perfect buyer. Those homeowners who pay attention to current trends will show their home is updated and modern. Creating an outdoor space is an important landscaping trend this year. Potential buyers want to see the yard can accommodate a quick game of catch as well as enough space to barbecue and sit out and enjoy the sunshine. Hardscaped areas pull double duty as a place to chat with friends and neighbors as well as enjoy dinner underneath the stars. Landscaping that is both beautiful to look at from afar, as well as approachable with integrated pathways, is also essential. Making your outdoor areas multifunctioning is a huge bonus when it comes to getting the best price for your home. 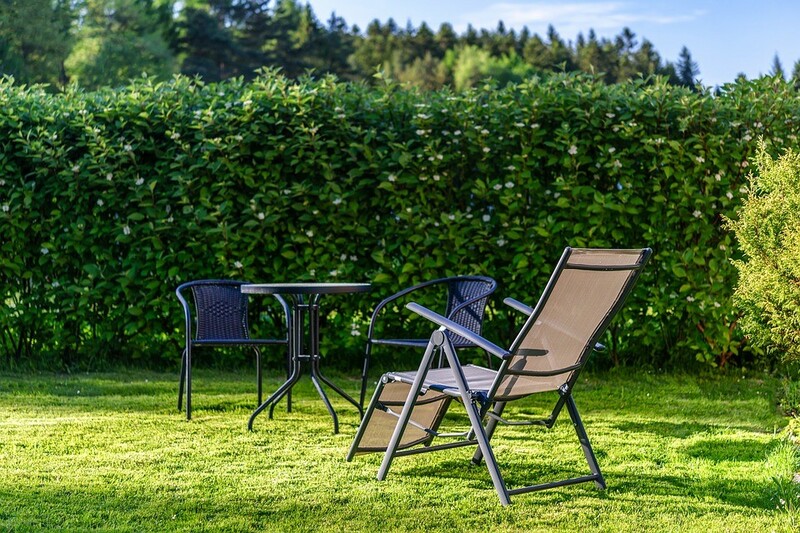 While you don't need to shield your entire backyard from view, some portions should be more private than others. 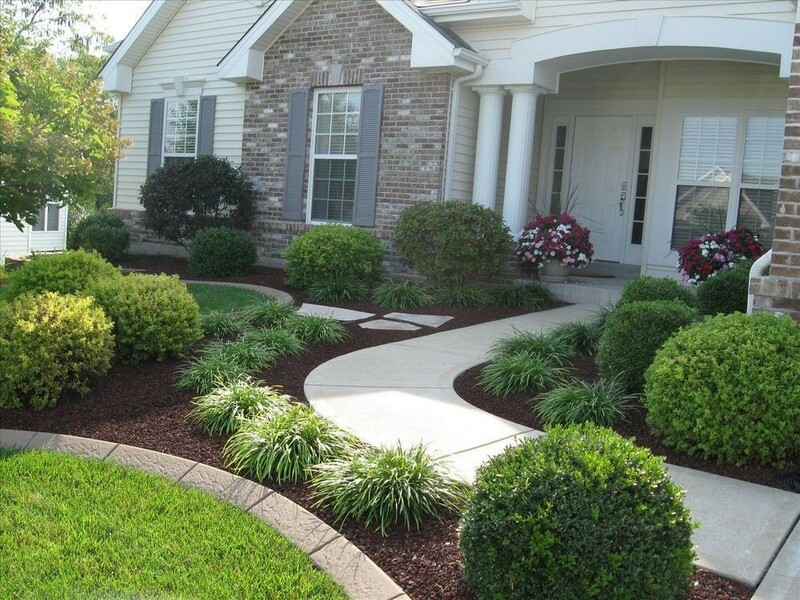 Consider planting quick-growing plants, such as American holly, that will create a natural boundary. Other options for privacy include building a pergola or installing a large sun shade that will keep homeowners cool as well as secluded. Homeowners want to spend more time outdoors, but they don't want to spend that time working outside. Installing smart technology items to keep the landscaping low-maintenance is an essential part of modernizing a home. Sprinkler systems, automatic timers, and drip irrigation can make a big statement during a home tour. Most A large majority of Maryland homeowners mow their lawns once every week or every other week, so that’s what you want if you want to keep up with how the Joneses are mowing. Another part of keeping your landscaping low-maintenance is to add more native plants. These plants thrive in Maryland's climate and help support the local environment. Area pollinators like honey bees, butterflies, and hummingbirds are more apt to visit a garden full of native blooms. Plants such as cardinal flower and blue mist need less watering and attention than others and make the yard more attractive. Chances are prospective buyers will return to see your home in the evening. 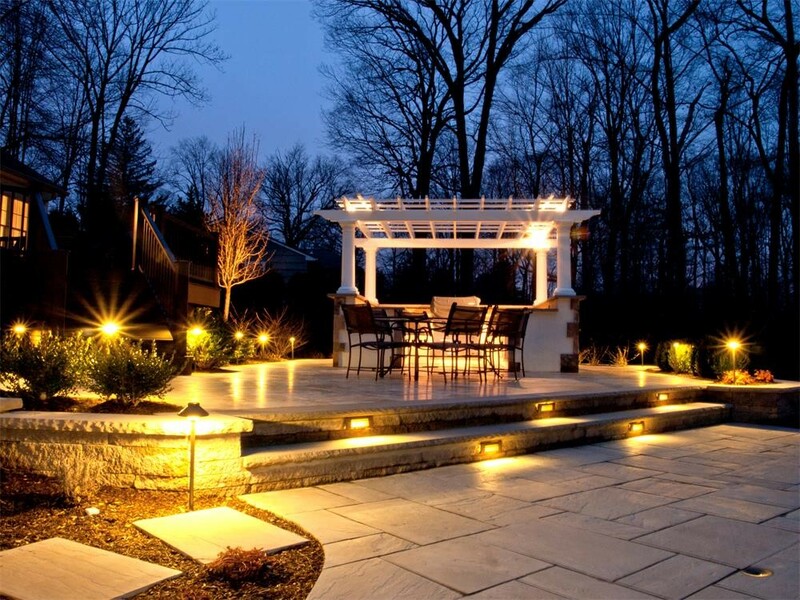 Outdoor lighting will give your house a sense of ambiance and safety. It expands your outside living space, serves as a deterrent to burglars and enables you to use the patio well into the evening. Consider LED lights, which are much more energy efficient. Adding a fire feature is a top trend that continues to stay strong. Fire pits are warm and inviting and can boost the property value. If you don’t want to mess with wood and ashes, many DIY tabletop fire installations can help create a soft glow without the mess and smoke. Creating an outdoor space that is both beautiful and welcoming is an essential part of making sure your home is ready to go on the market. Keeping up with current trends will help modernize your home and draw in serious home buyers. Consider these top landscaping trends that boost the value of your property when selling your home this year. Peter Goldberg is a gardening and landscaping writer and outdoors aficionado. He likes to fire up the grill to cook for family and friends, as well as using his organically grown garden produce to create mouth-watering meals. Crofton High School Boundaries Are? This is a question that is posed to me on a frequent basis. The answer is that nobody knows yet because they have not been established. However you can be part of the redistricting / feeder patterns for the process. 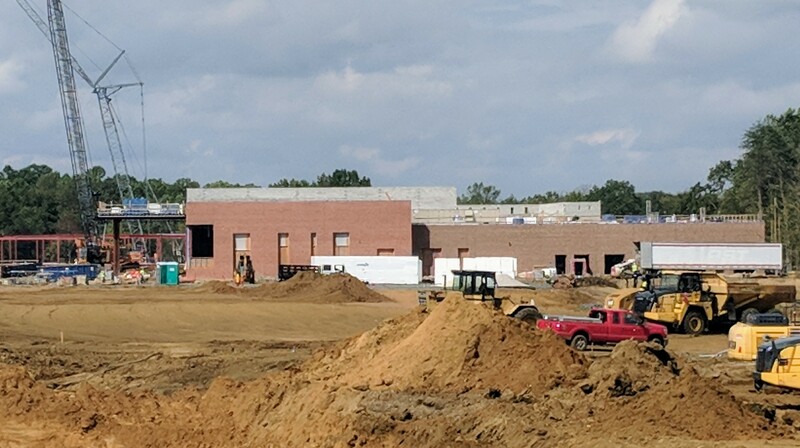 The committee consists of two representatives each from every potentially impacted school: Arundel and South River high schools; Arundel and Crofton middle schools; and Crofton, Crofton Meadows, Crofton Woods, Nantucket, and Piney Orchard elementary schools. The fact that a school is represented on the committee does not necessarily mean that the school’s attendance area or feeder pattern will change. Why Has Piney Orchard Become a Prime Location for Residence? Piney Orchard is beautiful. This is not just because it is the largest planned community in the whole of Maryland, but because it seems to have something good to offer everyone. Here you will not see much vacant land for sale because there are various available housing types for people to stay. This community is safe and comfortable and it is soon having some of the most attractive properties in the real estate market. Although houses are a little pricey, staying there would make you realise it is worth every single dollar. Are you also wondering why Piney Orchard is fast becoming a prime location for residence? Take a close look at the following reasons. Piney Orchard is the largest planned community in Maryland, having over 3900 housing units, of numerous sizes and specifications. It records over 8000 residents and more seem to be coming by the day. The real estate industry is booming, with offers for rentals, selling and buying of apartments and homes on the rise. This is a planned community; having land for sale is highly controlled. The community has a variety of houses to suit the needs of people. Ranging from small room apartments to large luxurious homes, serving different kind of deals. It has something for you, whether you are looking to be a tenant or an agent. Constellation Real estate Group handled a restoration project in the 40s and 50s replacing the initial wetlands by building five large ponds. The restoration project included planting numerous trees, and shrubs that are native to the area. This took place until the 90s when the project was recorded successful and Piney Orchard Nature Preserve was officially opened. The fact that this location was planned makes it a beauty to behold. In 2018, the community blossoms with beautiful green spaces all year and clean fresh air with a clear sky. This location serves as a haven for residents providing walking and bike trails for those who wish to promote fitness. One of the major reasons this community thrives so well is because it offers an easy access to big cities such as Washington DC, Baltimore and N.S.A’s Forte Meade. This enables residents to stay there and work in the nearby cities. Easy access is provided through MARC train that moves to Washington DC and Baltimore. Piney Orchard is also close to BWI airport and several other employment centres. This makes the community ideal for residents and easily accessible for visitors to want to live in. Planning is an integral part of humanity because it brings an order and meaning to so much. Piney Orchard is planned to be a beautiful residential community, this is evident by the presence of beautiful amenities required for a community to flourish. Some of these amenities include schools, public transport systems, recreational centres, orchard community centre, Parks, shopping centres, clubhouse and lots more. This community is perfect for residency, especially for families looking for a suitable neighbourhood to raise children. The community is designed to have something for everyone- a place to play for children, lots of fun for teenagers and a place to work for adults. In 2005, Constellation handed over day-to-day supervision of Piney Orchard to the association of residents known as Piney Orchard Community Association (POCA). They have the sole responsibility of maintaining security the aesthetic quality of the community and have never failed to meet up to expectations. They organise community social events and encourage communal living. Where would you rather live? As many in this area are aware, there is a study underway for the feasibility of a Maglev high speed train system between Baltimore and Washington DC with 1 proposed stop at BWI airport. Personally, I do not see the need for this type of system in general. I have been watching this as it could dramatically impact home property values in Odenton, Bowie, Crofton and Gambrills area. However if this train is considered, it seems to me that a stop at Fort Meade / NSA would make logistical sense. Otherwise, this train basically does very little to help ease the stress on the roads from commuters. That being said, the more and more I have looked at it, the less and less likely I believe it will actually become a reality in my lifetime regardless. Below is the published notes from the October 2017 meeting if you have some additional interest in the proposals which are currently being floated around. Welcome and thank you for your interest in the proposed Baltimore-Washington Superconducting Maglev Project. Though we’re early in the process, the team encourages YOU to get involved with the environmental study. Your feedback has a REAL potential to make this project better. The project team has heard your expressed concerns loud and clear, and we are listening to you. Our staff is available to discuss the project and study process with you. There will be multiple opportunities to communicate with the Project Team, whether it’s through public meetings, submitting comment cards, speaking over the phone, emailing, or posting comments to the website. We encourage you to provide your comments, speak with our staff, and visit the project website to view updated project information and responses to frequently asked questions. Right now, the federal project is a grant studying the feasibility of a superconducting magnetic levitation (or ESSEE maglev) train. Engineers and planners are currently finalizing technical specifications and weighing the benefits and impacts of a proposed high-speed train service between Baltimore and Washington, DC. S-CMAGLEV trains are now the fastest in the world, with cruising speeds more than 300 miles an hour. Baltimore Washington Rapid Rail (or BWRR) is a private company that is proposing to construct the SCMAGLEV system between Baltimore and Washington DC. Their proposal would provide an approximate 15-minute service between the new Baltimore and Washington stations, and would run on a new, dedicated guideway – partially through tunnel and partially elevated – with no surface-level intersections with existing roadways or other railroads. Congress authorized funding to *study* magnetic levitation projects in 2005’s ‘Safe, Accountable, Flexible, Efficient Transportation Equity Act’. The Federal Railroad Administration (or FRA) awarded $27.8 Million to the Maryland Department of Transportation (or MDOT) to prepare an Environmental Impact Statement (or EIS) for BWRR’s proposal. Please note, though, that no one has yet set aside money for construction. At this stage, it is too early to determine if or how the project will affect any landowners because a final alignment has not been determined. A goal of the proposed project is to maximize the use of existing rights-of-way intended for transportation uses and to minimize impacts to local communities and environmental resources. FRA and MDOT will have additional details on these factors as the project progresses and with completion of the alternatives analysis. Some alternative alignments will be eliminated from further study, and those alignments that are retained are likely to continue to evolve to minimize impacts on communities and environmental resources. Property owners can get a better idea of potential right-of-way impacts by examining maps of the alternative alignments posted on the project website (www.bwmaglev.info) and at public meetings. It is important to note, however, that FRA will likely adjust and refine alignments based on public and stakeholder input during the study process. explosions, and severe weather events. along the route, and new electric substations. Maryland Transit Administration or MTA, a transportation business unit of MDOT. are welcomed and encouraged throughout the process. the construction and operation of the proposed system. institutional properties are located throughout the corridor. work to avoid, minimize and mitigate potential impacts as part of the study process. noise and vibration effects, electromagnetic fields, safety, and construction. natural resources and ensure ecosystems within the study area continue to thrive. the nature and extent of the potential impacts. Where possible, alignments are shifted to avoid or minimize impacts. provide the public with the opportunity to provide input. public comments as part of the decision-making process. project website and email address. Please visit www.BWMaglev.info or email us at info@BWMaglev.info. stakeholders, elected officials, and governmental regulatory agencies. was published on November 25, 2016.
high impacts or costs are screened out and dropped. In Step 3, the project team analyzes the remaining alternatives, and publishes an Alternatives Report. holds public hearings, and accepts comments from the public for 45 days. comments, and publishes a Record of Decision. the suggestions that will contribute to a successful outcome. In other words: It costs more to hold off. “Sky-high rents and rising home prices are putting first-time buyers in a bit of a catch-22,” says Dr. Svenja Gudell, chief economist at Zillow. “Buying now with a low down payment can be riskier, and the offer may not be considered as competitive by the seller; however, a renter who saves for another year to reach a larger down payment may find that the home they love today is outside their budget a year from now. Homebuyers in hotter markets have to contribute even more to their savings if they wait. In San Jose, Calif., the average homebuyer has to add $599 more each month to their savings to purchase a median-priced home ($1,088,434) with 20 percent down ($1,088,434); in Seattle, Wash., the average homebuyer has to add $394 more each month to their savings to purchase a median-priced home ($479,451) with 20 percent down. When yellow leaves start to fall and nights grow longer—not to mention chiller—it’s time to pull out your autumn home maintenance checklist. While some projects are quick and easy, others require a little more time and skill. Some homeowners feel a sense of accomplishment tackling these tasks on their own, while others would rather leave it to the professionals. Ultimately, whether you choose the DIY (do-it-yourself) route or hiring help depends on your priorities—cost, quality, time and skill. Some homeowners choose to keep up with this maintenance to preserve the quality of their house— one of the most common, and most lucrative, long-term investments. Not only will regular seasonal upkeep protect your home, but it will also ensure its curb appeal is pleasing to you, your neighbors and potential home buyers. Power washing—one of the easiest ways to clean siding, brick, wood, concrete and other materials of the dirt and grime from summer. It’s fairly easy to rent a power washer from your local hardware store, much more cost effective than bringing in a professional. However, the effort it takes to power wash the exterior of your house—especially if it’s two story—and can take several days. Hiring a professional can cost around $250, but save countless hours of your own time. Every once in awhile the exterior of your home could benefit considerably from a fresh coat of paint. It’s astounding what an updated color palette can do for curb appeal. Painting the exterior of your home, including doors and trim, can be a daunting chore depending on the size, shape and design of your house. The average national cost to paint the exterior of a house is roughly $2,581. Your skill level and knowledge can help you decide to do-it-yourself or bring in a pro. Do you know how to prep a house to be painted? Do you have the time, either by yourself or with a friend, to make sure your paint job is of the highest quality with attention to detail? If you answer no to any of these questions, a painting professional might be the best choice. 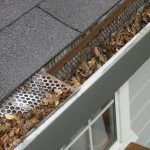 Cleaning gutters and downspouts is one of the most important autumn tasks a homeowner can take on. Even if you only clean your gutters once a year, fall is the most important time to tackle the task. While some people don’t mind spending a day up on a ladder clearing the drainage areas from leaves and debris, others see the value in hiring a professional to get the job done right. The average cost of having a professional clean your gutters and downspouts runs between $105 and $177, and takes about five hours. Walking the perimeter of your house, examining windows for holes, leaks and gaps may or may not reveal the information you need. Occasionally these issues can be spotted quickly, but often professionals can examine windows more closely, discovering more subtle repairs that need to occur to make sure your home stays warm and your heat bills stay low during the winter. Most window repairs cost between about $150 and $500, though in some situations homeowners can pay more than $1000. Preventive maintenance is critical to your home’s value. Making sure you’re in good shape for every season can save you substantial costs in the long run. While some tasks are easier to take on yourself, others are better left to the professionals. Give your fall curb appeal a boost by tackling these essential fall chores. Thanks to Eugene Williams at DIYDad.info for this article. 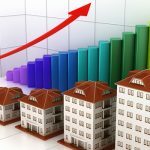 Autumn began in September, but activity in the housing market remained at summer-like levels through October, according to realtor.com®’s latest data preview. Prices in October were 10 percent higher than those one year ago, with the national median at $275,000 and the national median age of inventory at 73 days. “This month we aren’t just experiencing still-summery weather—we’re also seeing a sizzlingly competitive housing market at a time when things are usually cooling off for the fall,” says Danielle Hale, chief economist at realtor.com. “With not enough homes on the market to meet the high demand, homes are selling 8 percent more quickly than a year ago even though prices are as high as they’ve ever been. Renters up against ballooning costs in sought-after cities have steadily spread outward for rent relief—but now, costs are climbing in areas outside of cities, too. 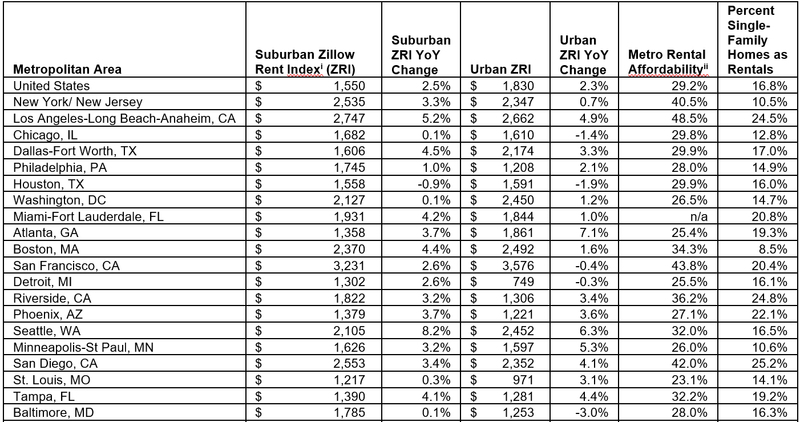 In fact, according to a recently released report by Zillow, rent appreciation is accelerating faster in suburban areas than urban ones, with the median rental cost in suburban areas up 2.5 percent year-over-year, while the median rental cost in urban areas is up 2.3 percent. The difference represents a shift from one year ago, when urban rental costs were up 5 percent year-over-year and suburban rental costs were up 3 percent. There are starker disparities in appreciation in in-demand urban areas and their suburban counterparts, including in Nashville, Tenn., and San Francisco, Calif.